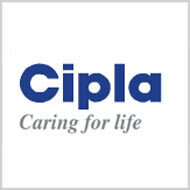 Cipla reported disappointing Q4FY11 results with OPM contracting 212bps on back of higher contribution from the low-margin ARV business. Further, Cipla’s FY12 guidance is also not encouraging especially on the margins front in spite of the fact that 10% of sales is expected to come from Indore SEZ. The stock has under performed the broader market by ~7% in last 3 months. We have revised downwards our FY12 earning estimates by 9% to factor in lower OPM. We continue to maintain our Hold rating with a reduced target price of Rs312 (earlier Rs331) based on June' 12E earnings. 60% of the export growth came from the ARV segment which disappointed as the same was at the cost of the margins. Domestic business grew by strong 14.7% driven by field force expansion and product launches. The company reported OPM of 18.1% (lowest in last 3 years) as against our estimates of 19.9% on account of higher raw-material cost. The higher raw-material cost was on back of increasing contribution from the ARV segment. We estimate the ARV segment to have margins in high single digit. 1) The company has guided for 10-12% revenue growth and 8-20% OPM for FY12. 5) The low-margin ARV business contributed 30% (22% earlier) to the total exports for the quarter. 6) For FY11 the debt was at Rs3,500mn and cash at Rs2,500mn.